SPRINGFIELD, Mo. – The Professional Bull Riders, Inc. (PBR) and Bass Pro Shops are teaming up to host a free PBR family event April 11-12, 2015, at participating Bass Pro Shops stores* across the U.S. and Canada. This event, which is held from noon to 4 p.m. each day, will include free crafts, face painting, steer head roping, giveaways and a chance to win a free trip to Brazil as part of the PBR Brazil The Longest Ride Getaway. • A free giveaway to the first 100 customers each day. Plus, on Sunday, April 12, kids can come dressed in their best cowboy or cowgirl attire to take part in the best dressed “Cowboy or Cowgirl Contest.” Judging will begin at 2:30 p.m. and one lucky participant can win a $50 Bass Pro Shops gift card, which will be awarded at 3 p.m. Sunday, April 11. To celebrate the cowboy movie “The Longest Ride,” which hits theaters April 10, customers can enter a chance to win a trip to Brazil. The PBR Brazil The Longest Ride Getaway sweepstakes features a 7-day/6-night trip for one winner and a guest to Rio de Janeiro and Barretos. The trip includes VIP passes to a PBR event in Brazil and a one-day fishing trip with retired PBR rider, Luke Snyder. The second place prize includes a private screening of “The Longest Ride” for one winner and up to 50 guests. Plus, one winner in every participating Bass Pro Shops store will receive one pair of Ariat boots and two tickets to “The Longest Ride” movie. Activities and crafts vary by store location and are subject to change. 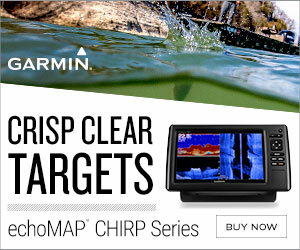 For more information, please visit http://www.basspro.com/stores and click on your store page. *This event is not available at Bass Pro Shops in Branson, Missouri; Miami, Florida; Islamorada, Florida; and the Outlet Store in Springfield, Missouri. Bass Pro Shops, which was founded in 1972 by avid outdoorsman and conservationist Johnny Morris, is a leading retailer of equipment for hunting, fishing, camping, boating and other outdoor pursuits. Bass Pro Shops has 90 retail stores and Tracker Marine Centers across America and Canada that are visited by more than 120 million people every year. Bass Pro Shops is dedicated to inspiring people, especially youth and families, to love, enjoy and conserve the great outdoors.